Charities are known to do good in the world, but often many of them are in relative obscurity. Cause-oriented organizations and charities that are aiming to stand out and be seen by the general public must have a strong marketing strategy. Those that have invested in marketing and branding have received only the benefits of increased awareness and financial support—things that any charity needs to stay in operation. Do you want to make your charity or organization more visible? 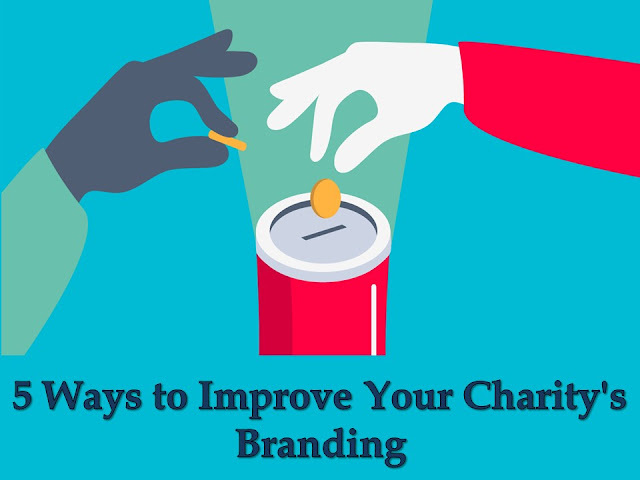 Here are 5 easy tips to keep in mind when building a recognizable charity brand. Every charity has their own specific audience, and it’s crucial to ensure that your brand connects to the right people. It helps to take note of your charity’s objectives and goals and start identifying your audience from there. You can collect email addresses from charity events, create a social media campaign to reach them, or hold discussions with them. Knowing your audience is important as not only do they benefit and give benefit to your charity, they will also grow your brand through word of mouth or social media. If possible, you can provide your members with custom lapel pins, which is a small yet tangible reminder that they are united under a common cause or goal. Level up your fundraising game by making it go viral. Virality is a phenomenon that can make or break certain brands and even carry the risk of unexpected losses in terms of finances and brand strength. It helps to be strategic in timing, reaction, and response. Take for example the trending #nomakeupselfie that made waves in 2014. Though not initiated by Cancer Research UK, the organization hopped onto the campaign and led the online buzz to collect donations for their charity. Additionally, it increased the momentum of the campaign, further fueling brand awareness for the charity. While charities may be selfless and altruistic, they have to think like a corporate brand in order to contribute to their long-term success. The biggest charities consider themselves as brands and approach strategies as such. They use the tools that the biggest corporations and marketers use in order to boost their own success. Look into trends and what’s new on the internet. Look into what kids are doing these days and tap into that. Charities have had to keep up with the constantly developing corporate world, and the best way to do that is not to beat them but to join them by using their own tactics for the greater good. Start close to home by reaching out to local communities in your area. This works especially well for charities that don’t have a broad reach or are not concerned about elaborate marketing campaigns. Focusing on connecting with your local community not only strengthens brand loyalty but also makes the charity more personable and accessible. You can do this by working constantly with local news and other media platforms. Most charity campaigns get the spotlight on certain days appointed to their cause. It’s important to take ownership of that particular day and make the most out of that time. You can create a campaign for a few weeks or days leading up to that one day, whether it be a series of fundraising drives, events, or simply creating hype on social media. Movember is one such campaign—it’s so successful it has even made its way into pop culture lexicon. Men have come around to growing out their mustaches in November—and it all started from awareness about men’s health issues. Whether you’re a small charity looking to create your own brand or already an established charity looking to try something new and effective, it helps to learn how to market your charity’s pursuits and go all out with it. Bigger corporations have done the same for less, so why not do them better for the sake of a better world?